Pet Social Network Article For The Sunday Mail - Petpav - Your Online Magazine for All Things Pet! Earlier this week, I was interviewed by Kiernan Rooney of the SUNDAY MAIL in New Queensland for an article that she is writing about pet social networks for her local Sunday paper. I thought that I would share my interview with my Petpav friends in case anyone was wondering why I started Petpav.com. 1. 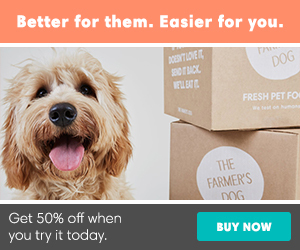 Why did I start Petpav.com? I started Petpav as a way for pets and their owners to connect with each other from all over the country. 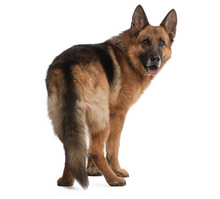 It is a site to ask questions and get advice from other pets and their owners. You can get recommendations on pet ailments, pet issues, and/or the best pet supplies straight from the pet’s and owner’s mouths. On Petpav, your pet does the talking and has his or her own voice which I thought would be a fun, entertaining spin for this social network. I always look for recommendations for products and/or doctors (i.e. veterinarian) through friends. This is a forum to do so. It is also a place to brag about your pets, post pictures, videos to all the other pet owners who love to see ‘their kids’ on the site. 2. How successful has the site been? Petpav is a start-up; we have been live less than a year but I am very happy with the progress. New members sign up daily and the current members are telling friends about the site so it is moving in the right direction. 3. What is the benefit of joining Petpav? The benefit of joining Petpav, as mentioned above, is free, fun advice. Pet businesses can also set up a profile for their pet business and promote their business for free to all the pets on the site. Think of it as Facebook for pets. 4. Are there a range of animals on Petpav or is it mostly cats and dogs? The site is virtually all cats and dogs with a couple pigs, reptiles and bunnies. As we grow, the diversity of animals will continue to grow as well. 5. Why do you think people are so interested in involving their pets in social media? I think people enjoy social networking as it is an open forum to discuss issues with people around the country. We are a computer world now so social networking is a fast, easy way to connect with others without even leaving your living room. The best part of Petpav is the community of members who are warm, concerned pet owners who love and take pride in their animals. One day, one of our members, a dog, posted that he was diagnosed with cancer on the petworking wall (the status stream). I was floored by all the pet owners who wished him well and prayed for him and his owner. It was both heartbreaking and touching and one of the main reasons I started Petpav.